President Destler's affinity for music has never been a secret. 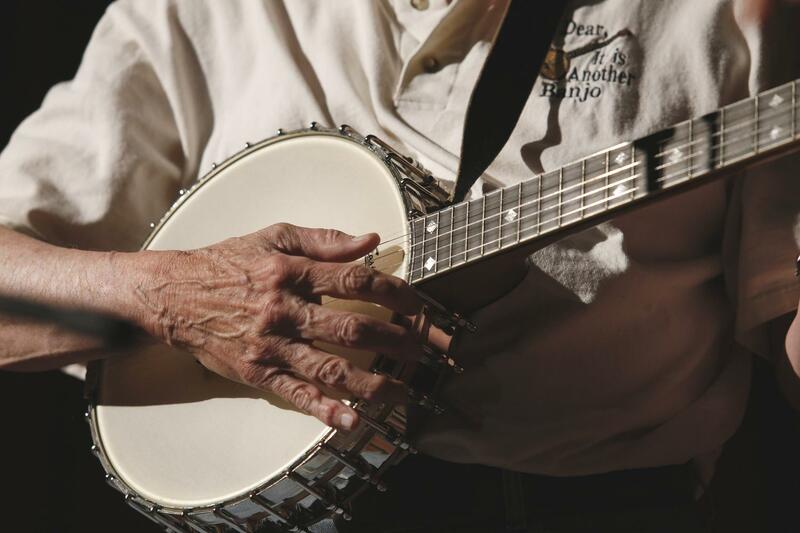 Most notably, his near obsession with vintage banjos has culminated in a collection of instruments that rivals that of any museum. 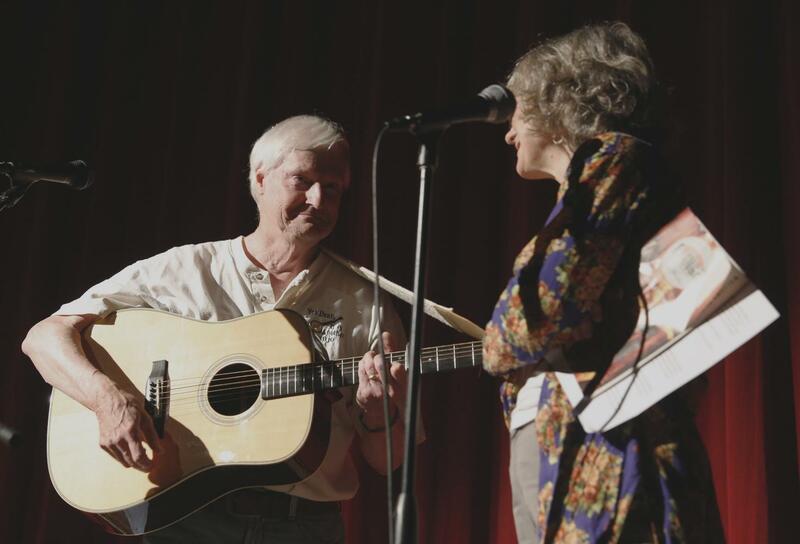 On Saturday, September 27, Destler took the chance to showcase his musical passion at the Little Theater, alongside his wife and vocalist Rebecca Johnson. 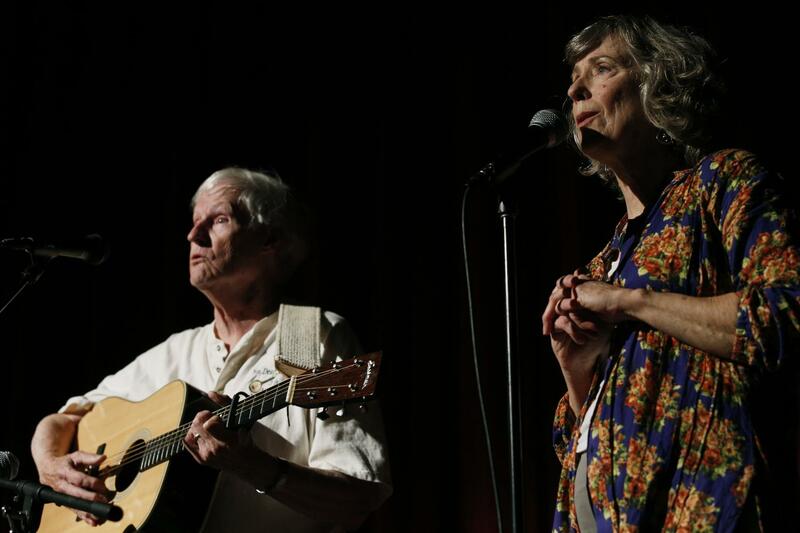 Described as an "eclectic mix of American folk songs they play in their living room," The Destler and Johnson Show, a part of the Rochester Fringe Festival, served as a showcase of a blend of traditional gospel and work songs to light-hearted, nursery rhyme-esque singalongs. The lights dim in the Little Theater 1 over endless rows packed with grey-haired and balding heads. While far from youthful, the audience responds with raucous enthusiasm as Destler and Johnson take the stage. Destler picks up his guitar, an Eastman E8D, and hangs the strap over his shoulder. Johnson steps up to the microphone. "Welcome to the Johnson and Destler Show," she says, putting emphasis on the Johnson before Destler. With a short introduction, Destler begins finger-picking a soft, rhythmic tune. The two begin singing the American traditional tune "Give Me Just A Little More Time" in harmony. "I've got a lot of things to do before I leave this Earthly clime," Johnson softly croons the chorus into the microphone. "I'm ready when you call me, Lord, but give me just a little more time." It was a performance that could best be described as "delicate." Its soft rhythm and the undeniable chemistry between Johnson and Destler's voices created a moment of serenity with a quiet and wholesome vibe.  It was the musical equivalent of the scent of freshly-baked apple pie wafting through a house on a cool autumn day; something truly indicative of American traditional music. The show continues in this vein as Destler and Johnson perform a Destler original, "Chesapeake Gold," a quiet tune about oyster-digging fishing boats off the coast of Maryland. However, this collection of soft, fragile songs is broken as the duo takes a stab at an a cappella rendition of the traditional slave song "Turtle Dove," which the audience readily sings along to. "Alright, so we're working hard up here, so I think it's about time you guys do some too," Johnson says, while Destler picks up a banjo – an open-back Eastman Whyte Laydie. 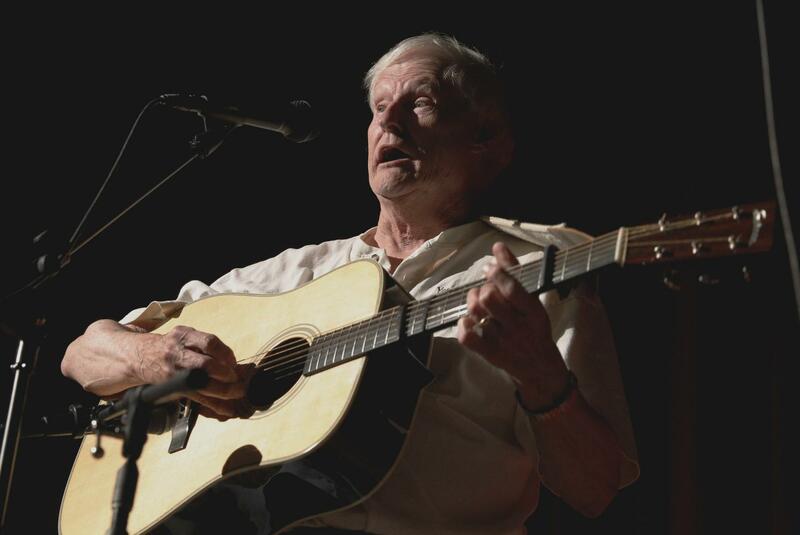 "When workers were working on the railroad, work songs were necessary," Destler says. "They would help the workers stay in rhythm with each other. So I want you to do the same; when I say a lyric, you sing it back. You'll know which ones to sing." The duo begins playing "Walking Boss," the audience enthusiastically echoing the lyrics. After several more singalong tunes, including the childlike nursery tale "Go To Sleep Now Susie," Destler walks off stage and places his guitar back on the stand. After a momentary pause, the two return to stage to perform their final song, an a cappella rendition of "Take Me Out To The Ball Game," eliciting a humorous, off-rhythm singalong and applause from the crowd. 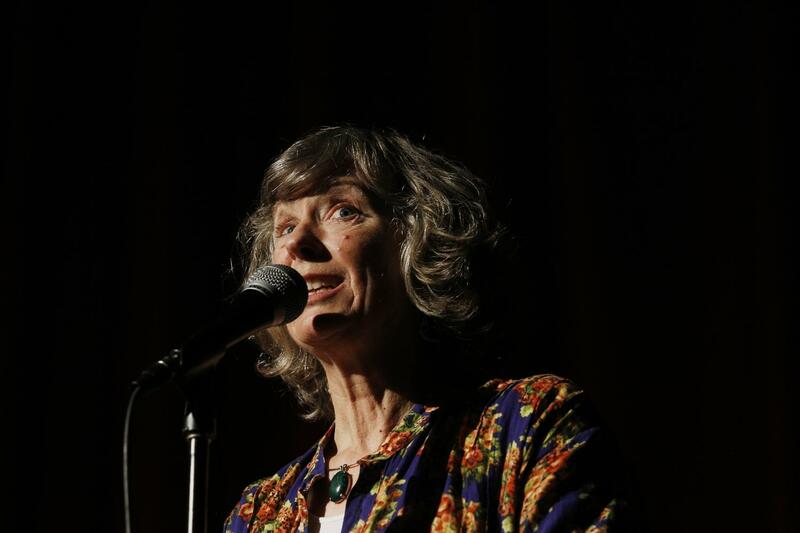 Though it was only a half hour set, the duo presented a beautiful interpretation of American folk music. Quiet and sometimes timid yet all the while comfortable and reassuring, The Destler and Johnson Show's exhibition gave us, if nothing else, plenty of reasons to love our president.